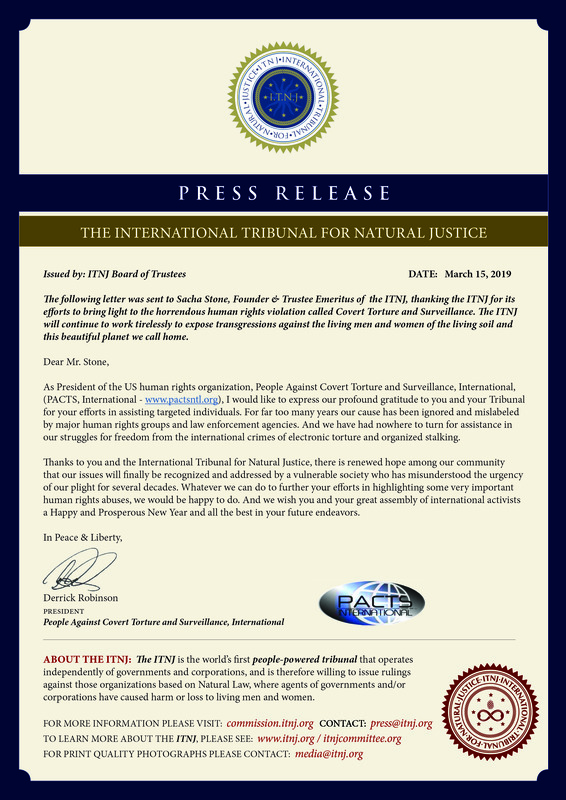 The following letter was sent to Sacha Stone, Founder & Trustee Emeritus of the ITNJ, thanking the ITNJ for its efforts to bring light to the horrendous human rights violation called Covert Torture and Surveillance. The ITNJ will continue to work tirelessly to expose transgressions against the living men and women of the living soil and this beautiful planet we call home. 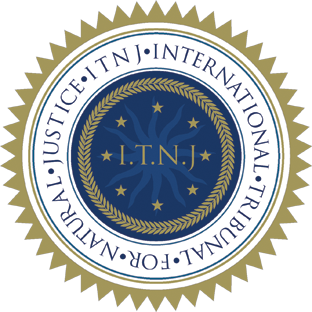 As President of the US human rights organization, People Against Covert Torture and Surveillance, International, (PACTS, International – www.pactsntl.org), I would like to express our profound gratitude to you and your Tribunal for your efforts in assisting targeted individuals. For far too many years our cause has been ignored and mislabeled by major human rights groups and law enforcement agencies. 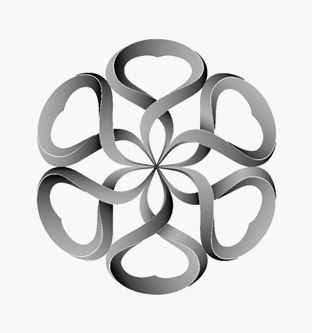 And we have had nowhere to turn for assistance in our struggles for freedom from the international crimes of electronic torture and organized stalking. Thanks to you and the International Tribunal for Natural Justice, there is renewed hope among our community that our issues will finally be recognized and addressed by a vulnerable society who has misunderstood the urgency of our plight for several decades. Whatever we can do to further your efforts in highlighting some very important human rights abuses, we would be happy to do. And we wish you and your great assembly of international activists a Happy and Prosperous New Year and all the best in your future endeavors.